Tadelle Dessie of ILRI has received awards for his outstanding contribution in chicken breed improvement and capacity building in Ethiopia (photo credit: ILRI/Apollo Habtamu). 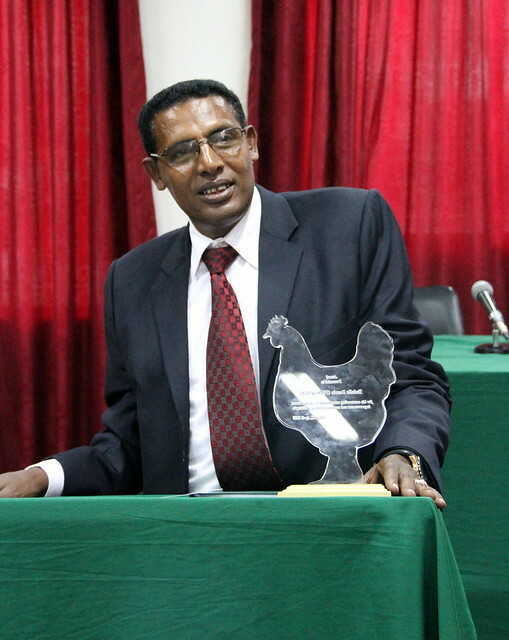 Tadelle Dessie, senior scientist and program leader for the African Chicken Genetic Gains (ACGG) project of the International Livestock Research Institute (ILRI) has been appointed adjunct professor at Bahir Dar University in Amhara State, Ethiopia. 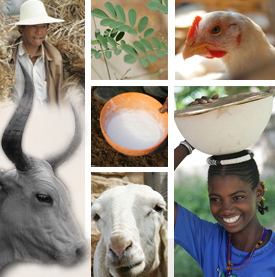 Tadelle will be affiliated with the animal production and technology department of the College of Agriculture and Environmental Sciences at the university. He will contribute in research, student advisory and overall teaching-learning activities of the college in particular and the university in general. In his more than 14 years service to ILRI, Tadelle has been involved in capacity development, knowledge management and implementation of research for development projects including chicken breed improvement through the ACGG project. To date, he has authored and co-authored more than 180 publications in peer-reviewed journals and proceedings. He has also supervised 78 PhD and MSc students. Tags: Tadelle Dessie. Bookmark the permalink. Hearty congratulations to a worthy academic. More blessings.